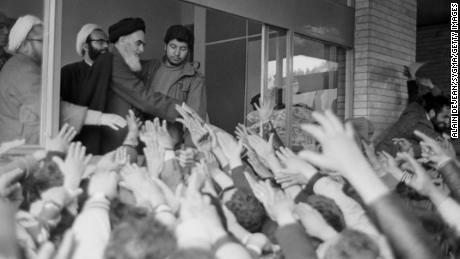 "Iran will continue to expand its military might and missile program," Rouhani said in front of tens of thousands of people who had gathered in Azadi (Freedom) Square of Tehran to mark the 1979 overthrow of Shah Mohammad Reza Pahlavi, a Western -installed monarch, which paved the way to clerical rule. US President Donald Trump has said that the economic sanctions he re-imposed in 2018 sought to keep Iran's military – namely its ballistic missile program – in check. ] 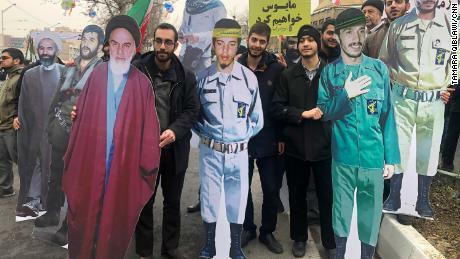 Tehran has tried to present the anniversary rallies as a show of support for the regime and Rouhani has accused Trump of openly agitating for regime change in Iran. "Today we are the target of a psychological and economic war. to belittle us, we must resolve these problems with one another, "said Rouhani on Monday. "With the assistance and the help of one another … we will be victorious in the face of America." Maqsood was echoing an address made by Iran's Supreme Leader Ali Khamenei on Friday where he said that "Death to America" ​​applied only to "Trump, (National Security Adviser) John Bolton and Pompeo." "I chose to come here and rally so that I can see .. I do not need a higher education to see the support here," Maqsood added. In a rare interview with Western media, Major General Mohammad Ali Jafari told CNN: "With the missiles we have right now, with the progress in high technology and with the self-reliance we have achieved in various fields, and also with the growth of the population in Iran, we have the power and capacity to defend against any kind of invasion. " Jafari said popular support for the government, as well as Iran's "expanded defense system" has rendered the Islamic Republic "invincible." "The Americans and other big powers know that a conflict with the Islamic Republic would fail," Jafari. "They have started a soft war, a cultural, political and economic war against us, and our people have understood that they are resisting and they are prepared." The government's messaging centered around the slogan "Yes, we can , "an apparent acknowledgment of the difficulties millions of Iranians face under the strain of renewed US sanctions. Prices have soared, the rial currency has plummeted and food and medical shortages have affected households across Iran. But authorities say that the country is no stranger to hardship, and regularly invoke its people's steadfastness in the eight-year war with Iraq in the 1980s. 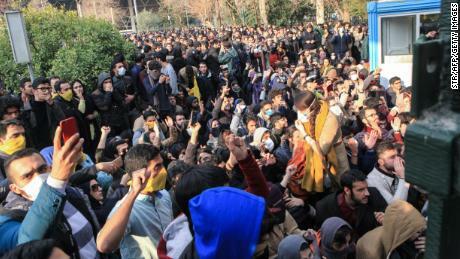 "There's been a big push at a grassroots level inside Iran over the past year, as demonstrated by protest movements … to actually deal with issues to do with corruption and mismanagement of domestic affairs," said Ellie Geranmayeh, Senior Policy Fellow at the European Council on Foreign Relations (ECFR). "This is going to be a big issue … for not just the existing Rouhani government but any successive government that comes to power." "I am not proud of this anniversary," said one man in his late 20s, who requested anonymity for security reasons. "This is not the Fourth of July.It's not something we should be proud of. People like me have not achieved what they wanted." 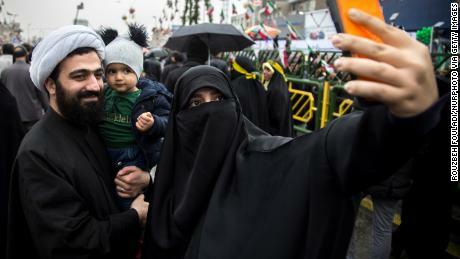 He added, however, that he has no nostalgia for the days of the Shah, despite wishing to recover the social freedoms that were lost as Iran transformed into aocracy. His father participated in the demonstrations four decades ago – to undo what the revolutionaries had done, he argued, would mark "a step backwards." The man said that the US president's attack on the regime should stop. "Trump should not be involved in these things. This is my country and we know what's better for us." 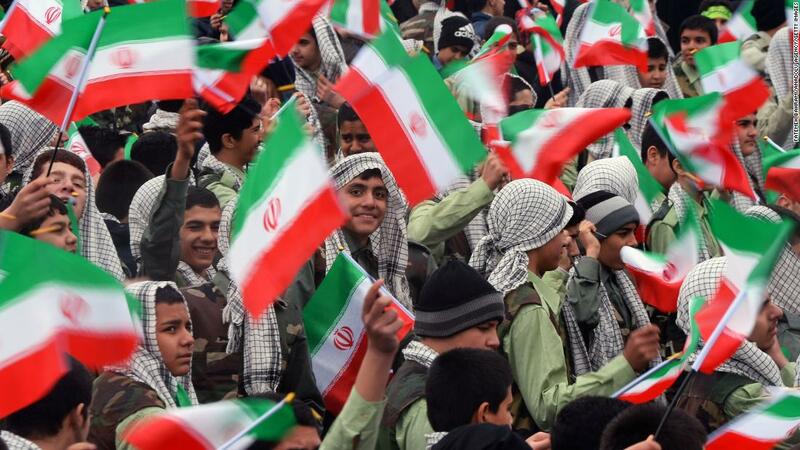 "Will Iran come to the negotiating table once more with the United States? So far, the messaging is no, not until the US comes back to the nuclear deal and meets its commitment," she added. CNN's Shirzad Bozorgmehr, Sara Mazloumsaki, Zahra Ullah and Samuel Quashie-Idun contributed to this report.